The Tucson Metro Chamber hosts more than 50 events annually providing valuable opportunities to make strategic connections, learn from industry experts to improve business operations, and engage in constructive dialogue with government representatives regarding local business and community issues. These events are aligned with our program of work. Join members and guests as we network and build relationships with business executives in our community. Increase your connections and discover new business opportunities. Check out the event calendar for dates, times and locations. A new and exciting look at the issues directly affecting your business and our community! Join the Tucson Metro Chamber for a breakfast to discuss public policy issues that affect your business and our community. The format is informal and easy to understand. 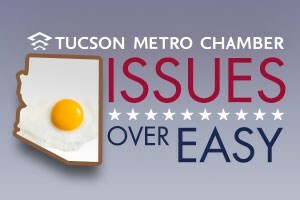 Issues Over Easy is a quarterly breakfast to help you connect with the Chamber’s Government Affairs program and keep you up to speed on current events affecting your business and our community! 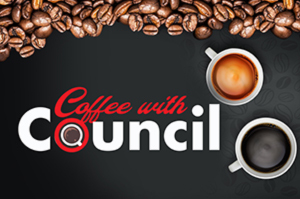 Coffee with Council is designed to bring businesses and their local, elected City of Tucson representative together for constructive dialogue regarding local business and community issues. Please join us for a member orientation especially created to acquaint you with membership benefits, services and programs that help your business grow. Connect with fellow members and Chamber leadership, learn about the Chamber's program of work and how the Chamber team works on your behalf while you run your business. The Tucson Metro Chamber will host Governor Doug Ducey at the annual State of the State luncheon to deliver the State of his State address detailing the issues affecting not only Southern Arizona, but the entire state of Arizona. This is a highly attended and visible event that addresses many important issues. The Tucson Metro Chamber will host the annual State of the City luncheon where Mayor Rothschild will deliver his “State of the City” address. This highly attended event provides a platform for Mayor Rothschild to outline his goals, planned policies and objectives for the City of Tucson in the coming year. 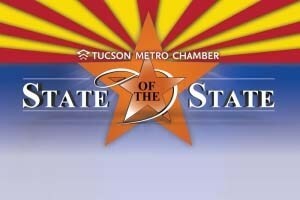 The Tucson Metro Chamber Business Expo is held in conjunction with the State of the City address. Showcase your products and services, make key business connections and open the doors of new opportunities at the Expo. EXPO IS OPEN TO THE PUBLIC 9:30 a.m. – 11:45 a.m. The Passing of the Gavel Annual Luncheon gives attendees the opportunity to connect with Tucson Metro Chamber leadership and other Chamber members. Meet the incoming Chair of the Board Barbi Reuter, while we thank our past Chairman Larry Lucero. Hear about the Chamber's accomplishments achieved in the past year and learn what our top priorities are moving forward. All of this in a fun, quick-moving format. 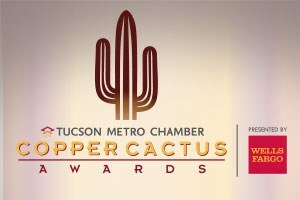 The Tucson Metro Chamber Copper Cactus Awards presented by Wells Fargo celebrates the accomplishments and innovation of Southern Arizona’s small businesses and charitable non-profit businesses. Nominees are judged on their work environment and the morale of their employees. Nominees are judged on workforce training, advancing, promoting people from within; or providing special job-training or exploration opportunities for individuals with special needs. Nominees are judged on their gross revenue, employee growth and compensation expenditure growth. Nominees are judged on their exceptional leadership, culture, innovation and growth. Soup with the Supes is an opportunity for business owners and executives to meet with the Pima County Board of Supervisors for constructive dialogue regarding local business and community issues. Bring your own soup i.e. lunch. 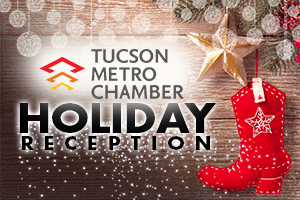 Our annual Holiday Reception brings business, government and civic leaders together to connect and celebrate the holiday season. With live music in a festive atmosphere, this unstructured reception allows you to mix and mingle with public officials and fellow leaders as we celebrate the progress made over the past year. A new opportunity for Chamber members to accelerate their business contacts. Make 16 contacts in 60 minutes in an orchestrated rapid-fire format.